Mount Meru is Mount Kilimanjaro's little sister, standing at 4,566m compared to 5,895m, but is still an impressive freestanding volcano, which makes a superb four day climb to the top. It last erupted in 1910 therefore can be classified as an active volcano. The first ascent was made by Dr. Fritz Jaeger, 1904. 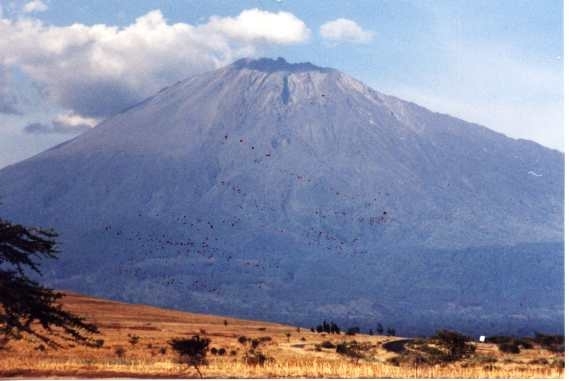 The town of Arusha lies at the base of Mount Meru Trekking, loads of trek companies do this trek. Wild animals are frequently found on this mountain therefore an armed ranger usually accompanies the trekkers. Grade C a strenuous climb so you need to be very fit in order to achieve this trek, you should be use to long trekking and had some high altitude experience. You can be booked into a hotel in Arusha or Moshi in order to climb Mt Meru. You can also fly into Nairobi or Kilimanjaro and catch the shuttle bus to either town. 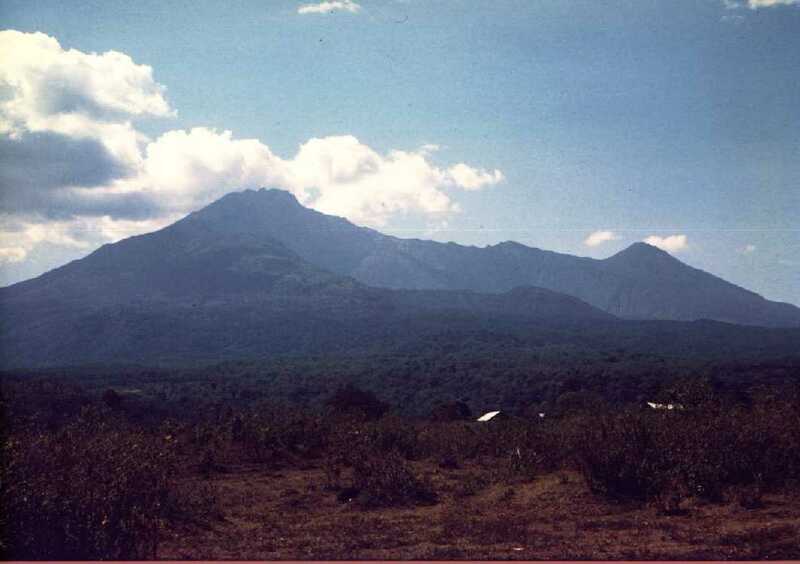 Mount Meru is easily accessible from Arusha. From Kilimanjaro airport to Moshi is about 45 mins and one and a quarter hours to Arusha. From Nairobi airport it is about 5 hours drive to Arusha which is an interesting drive and gives you a good feel about the place and the way people live. Well worth the trip! This trek is often done as a warm up and acclimatisation climb for Mount Kilimanjaro. Many tour companies offer a combination package. The mountain is un spoilt and less congested as compared to it's Mount Kilimanjaro and Mount Kenya counterparts. Pack warm clothing as Mount Meru can be pretty chilly. An early rise to hike all the way to the summit before the afternoon clouds cover the summit. From the summit, descend back to the 11,500 ft Saddle Hut in time for lunch. After lunch, hike down to Mariakamba Hut for dinner and overnight, B,L,D. Breakfast at the camp and a leisurely morning. Descend to the park gate to connect with your waiting transfer vehicle back to your Arusha Hotel, continue with other programs or depart, B. -Start and finish in Arusha. -Treated water on the trek. For more details and pricing, please contact us.